It’s back! 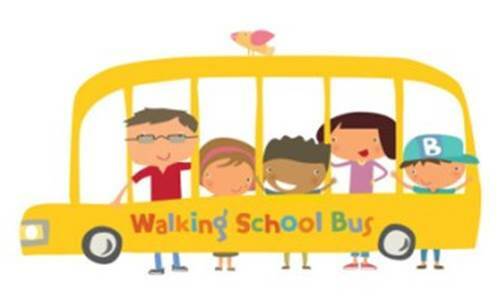 After resting for a couple of terms the Camelsdale School Walking Bus is back in action. The children can catch it twice a week travelling to school on their feet whilst reducing pollution and promoting fitness and well-being. It’s sociable as well with pupils from different year groups exchanging news as they walk to school. Since Mr Howard, Camelsdale’s much loved Lollipop Man retired last July, children and their carers have had to run the gauntlet crossing Camelsdale Road unaided as they walk to school; it is a busy road at the best of times with no no pedestrian crossings. Do you know anyone who can help the children cross safely for approximately 30 minutes every school day morning and afternoon. It is a sociable and satisfying position with plenty of opportunity to chat with the friendly Camelsdale folk whilst helping the children keep safe and reducing stress on their families. Benefits include regular monthly pay, ongoing support and advice. Full training, insurance, equipment and uniform provided free. Please contact office@camelsdale.w-sussex.sch.uk for more details.